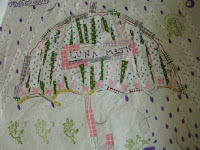 The Streetlamp Doesn't Cast Her Shadow Anymore: Griff says; ¡Viva Luna Moth! I've got another, largely undiscovered, gem from CLLCT for you all tonight. 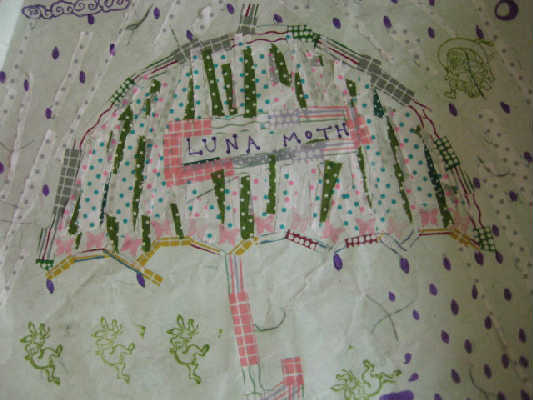 The band, from Oklahoma in the US, is called Luna Moth and they've been around for a wee while now; at least since the release of their eponymous first album in 2005. 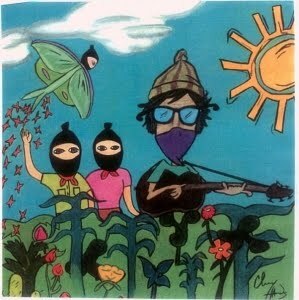 The music is a bit folky, a bit psychedelic and has the charming lo-fi bedroom pop feel that is common to most of the bands I champion on this blog. The reason I want to bring them to your attention now though is that they've recently released an album entitled 'El Vagabundo de Quetzalcoátl' and in my opinion it's by far the best thing they've ever done. The songs were written during a year-long sojourn in southern Mexico, and are heavily influenced by Mexican indigenous and traditional music while still maintaining the folky psychedelia of previous Luna Moth albums. The album contains 10 tracks, all of which are available as free MP3 downloads. We've taken the liberty of giving our two favourite songs the 'Streetlamp' video treatment to give you a flavour of the 'El Vagabundo' sound. We recommend that you stop what you're doing, sit back and relax, and let the music send you drifting off down the narrow cobblestone streets of a pueblo, resting at last at a shady spot in the plaza under an ancient Bougainvillea, the rich scent of campanilla fragrancing the air. Well, you get the picture!